Rapid expansion of aviation industry is increasing the need for safety and successful operational handling where smooth performance of aircraft tires plays a vital role. Handling of high pressures and loading is the major part of aircraft wheels where corrosion and physical damage leads to the failure of an aircraft. 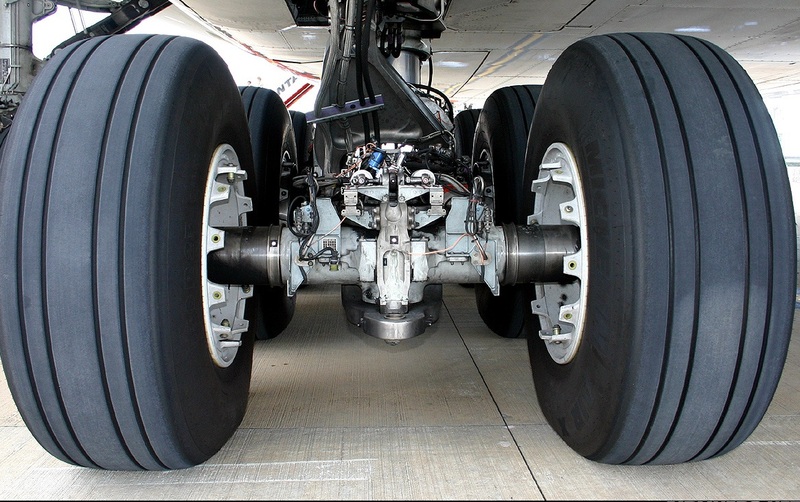 Therefore, tires are an essential part of aircrafts which needs to meets standard specifications. This is the key factor which is boosting the aircraft tire market across the globe. Manufacturing of aircraft tires is very critical as it needs to meet stringent specifications such as size, depth, tire material etc as per Federal Aviation Administration. Rising incidents due to aircraft tires is a major stress which is raising the competition among manufacturers to produce durable products with least failure rate. As per International Air Transport Association (IATA), Asia Pacific is the fastest growing region in aviation industry and accounts for nearly 35% of global airport investment. Potential rise aviation sector is growing the demand for aircraft tire market in Asia Pacific region. Top player of aircraft tire market Goodyear Aviation has invested USD 160 million to establish radial aviation tire factory in Bangkok in June 2008. The prime focus of this investment is to meet growing demand of aviation industry in Asia Pacific region. Rising demand for radial aircraft tires is boosting the investment from key market players. In 2016, Goodyear has invested USD 162 million in Thailand to expand the production capacity of radial tires. The project is estimated to be operational in 2018. Major manufacturing companies of aircraft tires are immensely investing or acquiring to expand their business across the globe and explore developing nations. In 2017, Liberty Hall Capital Partners has acquired Dunlop Aircraft Tyres Ltd., one of the major players of aircraft tire manufacturer for USD 135 million to expand its services in aerospace and defense industry. Key players of aircraft market are spending for the establishment of new manufacturing plants primarily to increase the production capacity. For instance, Bridgestone is spending USD 120 million to establish aircraft tire manufacturing plant in Thailand whereas Michelin is establishing an aircraft tire manufacturing firm in China to expand its services in aviation industry. In July 2016, Michelin and Aviall, a U.S. based aviation parts and aftermarket service provider collaborated together to improve the services and maintenance of aircraft tires. The immense acquisitions and expansion of aircraft tire manufacturers are showcasing the expected bright light of this aircraft tire industry. In 2016, the number of aircrafts recorded approximately 40,000 across the globe and expected to increase at a growth rate of 4.2% in upcoming years. Rising number of aircrafts across the globe is triggering the demand for aircraft tires. Increasing flight passengers and expansion of cargo industry is creating pressure on airline industries to increase the aircraft fleets. Based upon these factors, the market value of aircraft tires reached USD 1.8 Billion in 2016 and is anticipated to grow at CAGR of 4.82% over the forecast period i.e. 2016-2024. Furthermore, the market is anticipated to garner USD 3.1 Billion by the end of 2024. Geographically, North America region is the largest market for aircraft tire in 2015 with a revenue share of more than 32.8% globally. North America aircraft tire market accounted USD 320.2 Million in year 2016. As per International Air Transport Association (IATA), United States has more than 13,500 aircraft strength thus driving the demand for aircraft tires in the region. Although, Canada has around 400 aircraft and it is also contributing significant value to the aircraft tire market. Asia-Pacific region is anticipated to dominate the aircraft tire market during the forecast period i.e. 2016-2024. Government is taking initiatives and immensely investing in air transport facilities in countries such as Thailand, India, China, Singapore and Japan. Europe region is expected to witness stagnant growth in aircraft tire market. Europe was accounted for 20% share of global aircraft tire market in 2016. Russia has highest number of aircrafts in European region which is approximately 3,700. However, France and Germany is expected to increase the spending on aircrafts which will boost the aircraft tire market in near future. In 2016, Latin America market for aircraft tire was valued USD 80.1 million. Expansion of tourism industry in countries such as Brazil, Mexico and Argentina is expected to raise the number of aircraft over the forecast period which is likely to foster the growth of aircraft tire market in Latin America region. Aircraft tires play an important role in safety during landings and takeoffs and need to meet the necessary demands for the operation jobs. Safety is the major factor which is driving the global aircraft tire market. Technologically advancement in aircraft tires is helping in reducing weight and offer successful landings and long life span. This helps in reducing the operational cost thus propelling the demand for advanced aircraft tires globally. Up gradation and construction of international airports in developing countries is driving the global aircraft tire market. Implementation of IoT in aircraft tires is revolutionizing the aircraft tire market across the globe. Aircraft engineering company Safran and aircraft tire manufacturing company Michelin has presented connected tires for aeronautical industry in 2017. These tires are comprises with electronic pressure sensor which will detect the inflation pressure and improve the ground maintenance. Innovation in connected tires is triggering the competition for aircraft tire manufacturers and also raising the popularity of connected tires across the globe. However, proper maintenance of tire from inflation and keeping aircraft tires free from grease or oil is a major challenging factor for the tire manufacturers. No specific life cycle for aircraft tires is also prohibiting the market expansion of aircraft tires across the globe. Aircraft tires made of rubber are prone to get affected in extreme weather creating a difficult situation for manufactures. Aircraft tire manufacturers are overcoming from this restraining factor by adopting elastomers and synthetic materials in manufacturing of aircraft tires. Proper weight distribution and balancing are some of the issues which occur occasionally during the usage of new tires but it majorly affects the functionality. Likewise, fluctuations in raw materials such as rubber and others are some of the growth restraining factor for the global aircraft tire market.